Welcome to Rocket of the Week! Rocket of the Week is a place where we will feature one rocket that is currently operational, retired, or planned. A new rocket will be featured each week. All members are welcome to comment about the featured rocket and even make suggestions about rockets that should be showcased the following week. Sometimes polls will be held for members to vote on their favorite rocket. Also, if the rocket is available in a KSP mod, it will be showcased as well. This is a place for all rocketry enthusiasts to gather and to talk about rockets (and sometimes spaceflight)! This week's featured rocket will be the Zenit-3 rocket, which likely made its last flight on December 11, 2015. Rocket of the week is a place where real-world rockets will be featured. It is meant to give people more information on real-world rockets, and hopefully influence some rockets that are being built in KSP. My goal is to provide information about these rockets that will give people sufficient information on these rockets, which can be famous or forgotten. I hope to bring these rockets to life through weekly informative posts about these rockets to the KSP community. Looks interesting! I hope to see more! The US has two more Delta II's left; no more will be built, according to current plans. It's unclear even if these two will fly. But if they do, they could potentially make it an even one hundred consecutive successes to wrap up its service time. Yep. One of the failures was when the rocket exploded above the pad with a GPS satellite. I think the other failure was when one of the boosters failed to separate which stranded a satellite in a lower orbit than planned. There are currently three Delta IIs unflown. Two of those have been assigned to NASA missions (JPSS-1 and ICESAT-2). The fate of the last one remains unclear. I read an article about how the last Delta II might be donated to the Smithsonian. Why no 6 SRB Delta II? @Hcube Yes, the second stage is pretty small. The tanks are about the same length as the engine. But the engine is pretty efficient in a vacuum, since it has an extended nozzle. 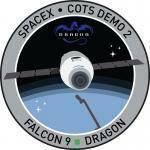 Sort of reminds me of the Falcon 9 v1.0 second stage. Another fun fact: In the final years of the Delta II, the second stage tanks had its production shifted from Colorado to Thales Alenia in Italy. @fredinno Having 6 SRBs on a Delta II will create an immensely huge TWR ratio that will exert a lot of G-forces on the rocket (and the payload). Once the SRBs burn out the RS-27A engine (which is relatively low thrust at 1,054.2 kn in vacuum) will have a hard time getting the velocity to increase due to the heavy payload. Light payloads launched by Delta 732x and 742x rockets do not have this problem as the RS-27A engine can just keep on pushing the payload along. remember they could theoretically do airstarts on a 6 SRB version and do a 2 SRB set. also i was under the impression that there were 2 Delta II's left and one was NASA and the other was unclaimed. This week's featured rocket will be the Delta III, as suggested by @fredinno. Also, if anyone wants a previous post that has been deleted, you can send me a PM and I would be happy to provide the archived version. I like your idea of the rocket of the week, just one thing put the name of the rocket on the title. Wouldn't it be a good idea to put each weeks page in a spoiler tag so they can be readily accessed? The series is great, but I would like to be able to read them on one page. I don't think it's a good idea to completely remove previous posts. Not only are you undoing all of your hard work, but you're also confusing people who come into this thread for the first time and stumble upon comments completely unrelated to what's actually in the first post. Much rather, if you don't want to start a new thread each week, I'd post each week's profile as a normal reply to the thread, and use the first post as a table of contents linking to each rocket. That way comments to each rocket stay with that rocket, all posts remain visible, but the OP is still always kept up to date. @StreetwindWill do that later. I actually didn't delete my previous post-it's all stored in my hard drive. You can expect to see a revamped OP sometime later today. In 1987, McDonnell Douglas won the contract to build upon the existing Thor-Delta family of vehicles. This new rocket will be developed into what we call Delta II today. First of all, the core stage (a derivative of the Thor intermediate range ballistic missile) was stretched to 26.1 meters in length. The first variant created was the Delta 6000 series. The 6000 series Deltas had an RS-27 engine as its main engine. RS-27 is a modified H-1 engine from the Saturn rocket program. It also used enlarged Castor 4A boosters. Each Delta 6000 rocket flew with 9 Castor 4A boosters and a 8 foot or 9.5 foot diameter payload fairing. Next up was the Delta 7000 series rocket. This was the most common version of the Delta family and it is the most well-known. The first stage will utilize an upgraded RS-27A engine. The vehicle will also be compatible with GEM-40 boosters (Later, when the Delta III was introduced, some of the Delta IIs will use enlarged GEM-46 boosters. These versions are called Delta II heavy). The second stage was a Delta-K stage, powered by an AJ-10-119K-ITIP engine. Delta-K can trace its tank diameter back to the Able-Star stage initially paired with the Thor missile. Delta 7000 was compatible with fairings with diameters of 8 feet, 9.5 feet, 10 feet, 10 feet (composite) and 10 feet (composite-lengthened). Delta II would also be compatible with a number of upper stages, most commonly the Star-48 series of solid fuel motors manufactured by ATK. The other thing that set Delta 7000 apart from Delta 6000 was that Delta 7000 was compatible with 3, 4, or 9 solid rocket boosters, allowing for a more modular design. After launch pad 17B at Cape Canaveral was upgraded for the Delta III, some Delta II rockets started flying there as well. The launch would create a large cloud of smoke that surrounds the rocket. The final launch from Complex 17 occurred in 2011, when a Delta II 7920-H rocket lifted of with the twin GRAIL spacecraft for NASA. Notable Delta II payloads include the Spirit and Opportunity rovers, MESSENGER, GRAIL, GPS, Mars Odyssey, etc. Because of a lack of demand for the rocket, United Launch Alliance, the rocket's current manufacturer, will retire the rocket in 2018. FUN FACT: Did you know that the Delta 742x series (four boosters) had an asymmetrical booster configuration? 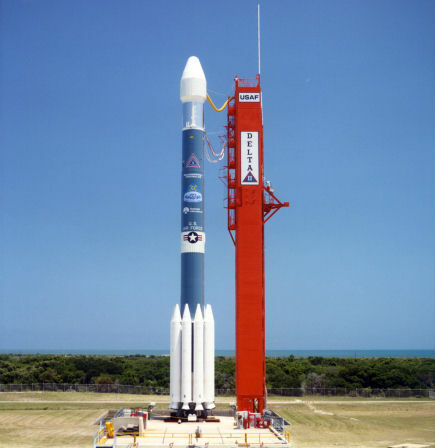 A Delta II vehicle is featured in the 1.0.4 version of Launchers Pack. The pack contains parts to make both the 6000 series and the 7000 series of the Delta II. I highly recommend using this mod to launch small-medium sized probes. Delta III was a relatively short-lived rocket, since it made only three flights before it was retired. It was a product of the Air Force MLV-II bid, which called for a vehicle that could lift approximately 2.6 tons to GTO. McDonnell Douglas submitted a bid for an evolution of the veteran Delta launch vehicle, in which it would be designed to lift communications satellites to GTO. Delta III was designed to lift Hughes HS-601 type satellites, which required a 4-meter diameter payload fairing and weighed around 2.5 tons. This called for the development of a new cryogenic second stage and modifications to the then-in-development Delta II's first stage. 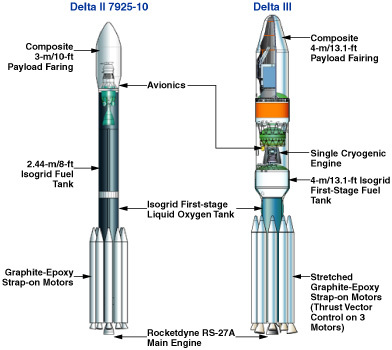 For Delta III, the GEM-40 motors that were in development for Delta II was enlarged and stretched to create the GEM-46, a motor which created higher thrust than the original GEM-40. Delta III would fly with 9 of these boosters, with 6 ignited on the ground and three ignited after the 6 ground-lit motors burned out. The air-lit motors would have an extended nozzle to improve efficiency. Because of the increased thrust, the SLC-17B launch pad at Cape Canaveral had to be modified. After modifications were completed, the flame trench would spew the SRB exhaust over the rocket, making it seem like the rocket was covered in smoke. In the first stage, the RS-27A engine would be used. RS-27A was an evolution from the original RS-27 (Saturn H-1) engines because it produced more thrust and was more efficient than its predecessor. For the first-stage, the oxidizer tank from the Delta II would be reused with Delta III. Engineers at McDonnell Douglas decided to make the diameter of the first stage fuel tank 4 meters, in order to match the diameter of the second stage and the payload fairing. At the same time in Japan, the H-II rocket was also being developed. Since H-II would also be a 4 meter diameter rocket, McDonnell Douglas decided to use their tank tooling to produce Delta III first stage fuel tanks and second stage LH2 tanks. The second stage would be powered by a RL10B-2 engine provided by Pratt & Whitney, which would be the world's most efficient cryogenic engine with a specific impulse of 462 seconds. RL10B-2 would be an evolution over the original RL10A series through an extendable nozzle built by Snecma of France. The second stage would also have been a relatively new design. it would connect the fuel and oxidizer tanks by a truss structure. The LH2 tank will sit atop the interstage and on top of the truss. The LOX tank would be mounted below. A Redundant Inertial Flight Control Assembly (RIFCA) would be mounted on a shelf between the two tanks. RCS thrusters and hydrazine tanks were also mounted on this shelf to provide 3-axis stabilization during coast phases. The LH2 tank would sit on top of the interstage, while everything else would sit inside the interstage. A slightly modified version of the Delta III second stage (DCUS) can be seen in service on the 4m diameter Delta IV vehicles, called DCSS-4. Another version with larger tanks is used on the 5-meter diameter versions of the Delta IV rocket, called DCSS-5. Delta III would also have a new 4-meter diameter fairing to accommodate large communications satellites which matches the diameter of the second stage. Delta III had three flights in its relatively short life. The first mission carried Galaxy 10, a communications satellite built for PanAmSat. The rocket flew nominally until 75 seconds into the flight, when its ground-lit SRBs were expected to burn out. The rocket flipped over and exploded. Debris fell over the Atlantic ocean, and Galaxy 10, still intact after the rocket's explosion, caused a large fireball as it impacted the Atlantic. An investigation found out that the RIFCA was not able to handle the 4 hertz roll encountered in this launch, which was produced from the RS-27A engine and three of the SRBs which had thrust vector control. RIFCA tried to correct this situation, but it ran out of hydraulic fuel, rendering the boosters unable to gimbal. The RS-27A engine tried to correct, but the vehicle ultimately tipped over and exploded. The next Delta III flight launched with the Orion 3 communications satellite. This time, all systems performed nominally until the re-ignition of the second stage. The second stage shut down immediately after its re-ignition, stranding Orion 3 in a low-earth parking orbit, well short of its planned GTO trajectory. An investigation determined that the RL10 nozzle "burst" during its restart, which caused it to shut down. The final Delta III flight carried the DM-F3 payload, which was essentially a dummy communications satellite. 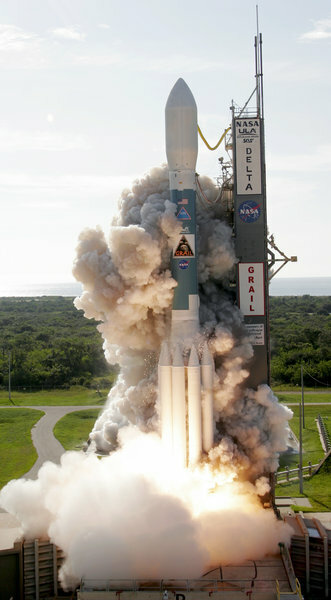 This was Delta III's first launch in the daytime. The rocket lifted off, and hours later, the payload separated into an orbit that was slightly lower than its planned GTO orbit. However, the final orbit was in the allowable 3,000 km margin, and Boeing (now merged with McDonnell Douglas) declared the launch a success. Following this launch, however, Boeing shut down Delta III production and instead started to develop the Delta IV launch vehicle family. 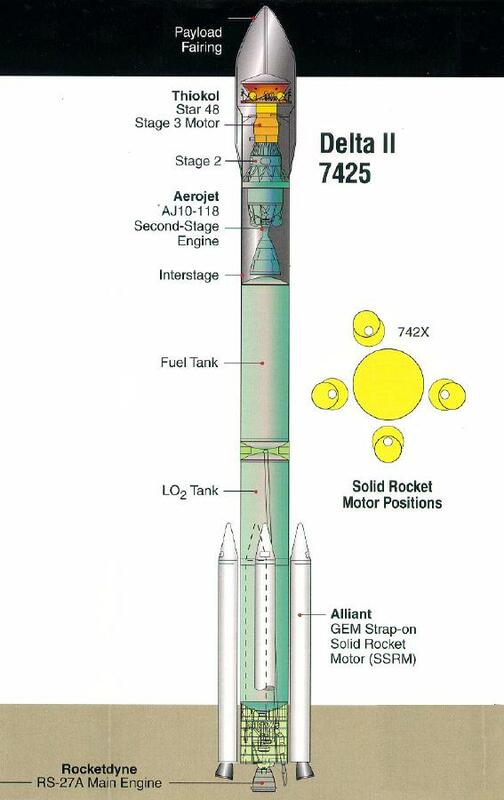 Delta III parts (RS-27A, GEM-46, 1st stage LOX tank) would then find a home with the introduction of Delta II heavy, an upgraded version of the original Delta II that enabled it to lift heavier payloads. With this, the story of one of the world's most forgotten launch vehicles ended. 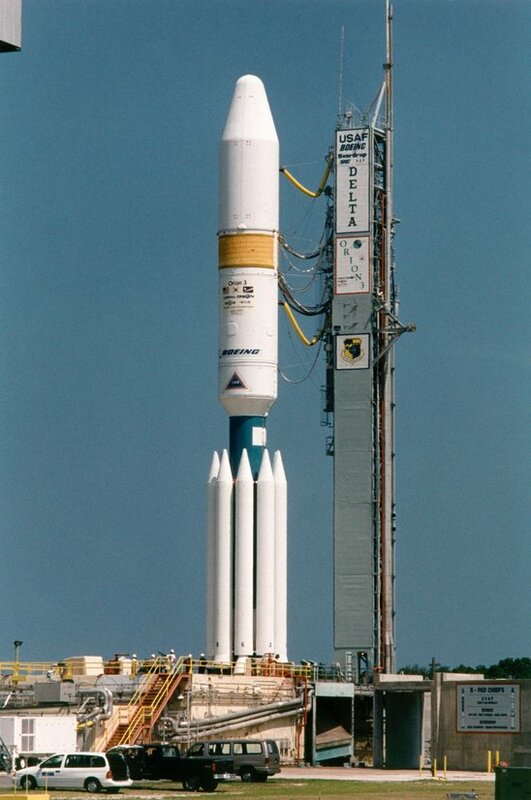 An excellent Delta III vehicle is contained in Launchers pack. It is an accurate replica of the real Delta III launch vehicle. Currently the Delta III works with KSP 1.0.4. Another Delta III vehicle can be found in Liquidhype's real scale launch vehicles pack. It contains yet another accurate Delta III replica. This mod is also compatible with 1.0.4. This week's featured rocket will be the Zenit 3SLB, which likely made its final flight last week with the Electro L-2 satellite. Hey guys, I will be on vacation next week and unfortunately I will not be able to post. I do, however, promise that once I get back I'll continue to work on the next article. Yes! One of my favourite rocket families .